This article by Diane Duvall originally appeared in the November/December 2018 issue of Northern Gardener magazine. For more information about becoming a sustaining member of MSHS, contact Diane at dianed@northerngardener.org or see our gift webpage. MSHS supporter, Tami Gallagher, describes herself as an “organized to the core gardener.” Tami’s business, Home Sown Gardens, provides gardening services to residential clients. The business grew organically from her work as a professional organizer. 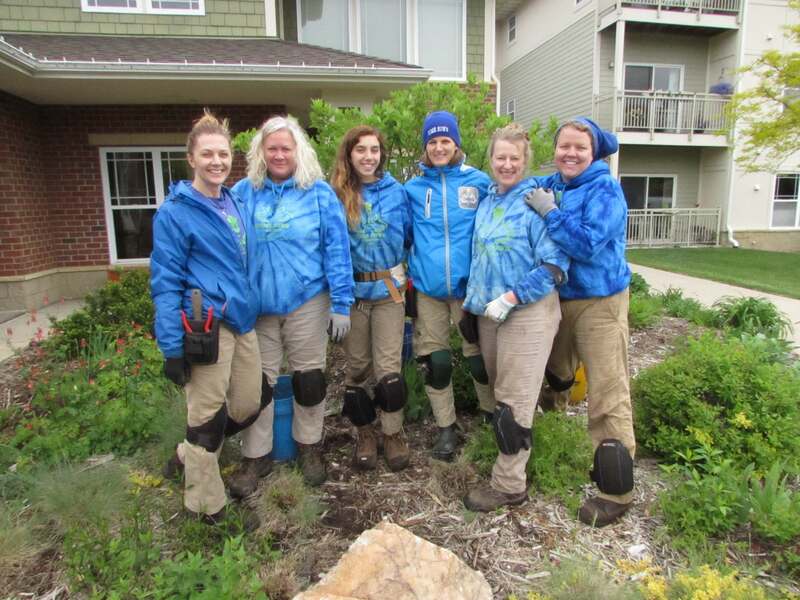 Tami and her crew help keep this client’s yard looking neat and lush. “After I helped clients get their home in order, I found that they were overwhelmed by clutter in their yard,” she says. Certified by the Minnesota Nursery and Landscape Association and a Master Gardener, Tami had no problem adding a new division to her business to help clients de-clutter, beautify and maintain their yards and gardens. Tami credits her interest in horticulture to growing up gardening with friends and family on a hobby farm. When she learned last fall that MSHS was expanding existing and developing innovative new programs to help beginning gardeners, she was inspired to donate. “I love to teach and share my love of gardening, and MSHS supports those values,” Tami says.